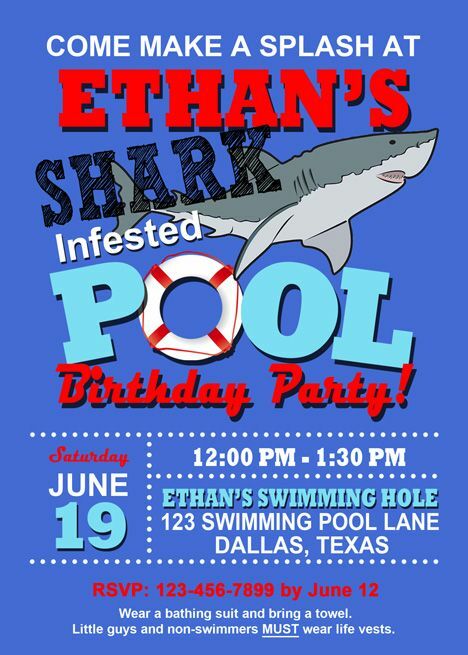 I was contacted in December by a client who needed a custom pool party invitation as her son wanted a shark on the invitation. Here is what I created for her child's birthday shark infested pool party. If you would like this invitation for your next pool party or would like matching party printables or a custom invitation contact Paper Perfection at jtanddolly@yahoo.com for pricing and details.